Tech stocks are burning down. From mega-caps like Facebook (NASDAQ:FB) and Amazon (NASDAQ:AMZN) to smaller companies like Square (NYSE:SQ) and Shopify (NYSE:SHOP), tech stocks are dropping like flies as investors become more risk-off than they have been in recent memory. One stock that has been slaughtered in this selloff is chip maker Nvidia (NASDAQ:NVDA). At the beginning of October, Nvidia stock was getting ready to touch the $300 mark. Fast forward three weeks, and NVDA stock is now trading below $240. What happened? Nothing specific has happened to Nvidia. The fundamentals underlying Nvidia stock remain rock-solid. The company’s growth outlook remains quite promising. But over the past three weeks, the market has changed. Previously, investors were piling into growth names, and they were willing to pay a premium valuation for those stocks because discount rates (which are a function of interest rates) were so low. But those rates are now creeping up. That is pressuring equity valuations and forcing investors to question whether they really want to pay a premium for growth. Consequently, NVDA stock has dropped. For long-term investors, this dip is a buying opportunity. Nvidia stock will be much higher in five years than it is today. But for shorter-term investors, I don’t think this dip is worth buying until one of two things happens: Either Nvidia stock needs to drop into undervalued territory (which I believe is below $225), or risk attitudes have to change, enabling NVDA stock to prove that it can sustain a premium valuation. Neither of those things is happening right now. Thus, it seems premature to buy the dip in Nvidia stock. Nvidia is powering all of tomorrow’s most important industries. Namely, Nvidia builds the chips which power artificial intelligence and the Internet of Things. These two industries are still in their relative infancy. Right now, Nvidia’s core markets are gaming, professional visualization, data-centers, and automotive. Each of those markets will continue to grow at a robust rate over the next several years. But Nvidia’s real growth driver is the expansion of its addressable markets. As AI and IoT become more prevalent technologies globally and start to become integrated into many different industries, Nvidia’s addressable market will grow by a huge amount. NVDA will start to service markets like department stores and grocery stores, which will utilize automated checkout, the restaurant industry, which will employ AI-powered ordering in kiosks, manufacturing and industrial automation, which will deploy AI-powered manufacturing robots, medical technology, which will use robotic surgery assistants, and many more. All together, Nvidia’s addressable market is quite huge. NVDA is currently tapping just a small portion of it. Thus, as long as this company can maintain its leadership of the AI markets, Nvidia stock is supported by the company’s robust growth prospects. My thesis on Nvidia stock is pretty simple. Because of the company’s aforementioned growth prospects, NVDA is a company which I think can grow its revenues at a 20%-plus clip for the foreseeable future and generate $15 of EPS by fiscal 2023. Assuming that the market awards NVDA stock a forward price-earnings multiple of 20, which is average for growth companies, Nvidia stock will reach $300 in fiscal 2022. Discounted by 10% per year, that equates to a fiscal 2019 price target of $225. As a result, I think the fair value of NVDA stock is somewhere below $225. Over the past several months, investors adopted a risk-on attitude because growth was good and rates were low. Thus, Nvidia stock was able to sustain levels above $225. But that is changing. Now risk-off attitudes are becoming more prominent because growth is being called into question and rates are heading higher. Consequently, Nvidia stock is struggling to sustain levels above $225. The investment implication, then, is clear. Unless you start to see a big bounce in all tech stocks and risk-on attitudes return, don’t buy the dip in Nvidia stock until it falls below $225. But if it does fall below $225, risk attitudes shouldn’t matter so much anymore. Fundamentals say Nvidia stock is materially undervalued below $225, so I’d be a buyer at that point, regardless of the macro backdrop. To be safe, investors should wait for one of two things to happen before buying the dip in NVDA stock. They should wait either until the stock drops below $225 and becomes undervalued or risk attitudes change and Nvidia stock proves it can sustain a premium valuation. Right now, neither of those things is happening. Thus, this dip isn’t worth buying yet. As of this writing, Luke Lango was long FB, AMZN, SQ, and SHOP. 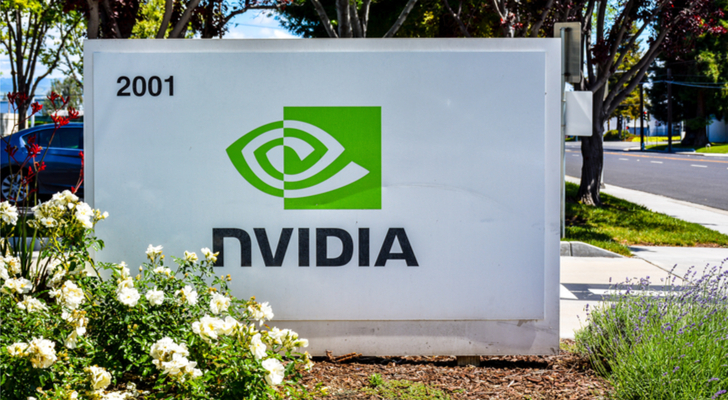 Article printed from InvestorPlace Media, https://investorplace.com/2018/10/wait-two-things-buying-dip-nvidia-stock/.